My favorite character to write was Madison Lockhart! She had so much development throughout the series. In The Secret Diamond Sisters, she was such a snobby mean girl. 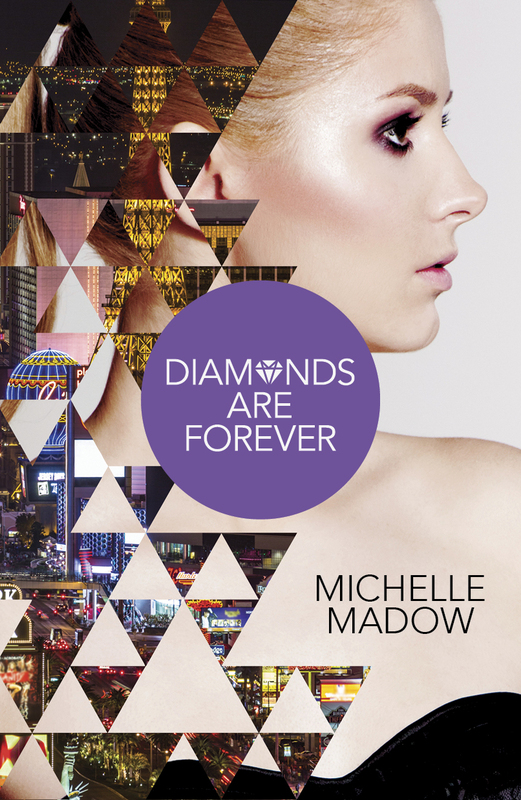 Then, in Diamonds are Forever, she discovered a secret that changed everything she thought she knew about her life. Discovering this secret changed her so much, and she struggled a lot during Diamonds in the Rough. 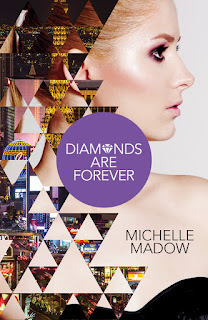 Now, in Diamonds are Forever, readers will get to see a changed version of Madison, after everything she went through in the series. I hope they end up loving her as much as I do! How did writing this series differ from writing your earlier books? The main difference is the way the story is told! My first series, The Transcend Time Saga, was told from first person point of view, all through the eyes of the main character, Lizzie. (Except for the short story Vengeance, which is told from Chelsea’s point of view.) The Secret Diamond Sisters series is told in third person, from the rotating points of view of four main characters. I had to work a lot harder to make sure the four characters had distinct voices, so writing The Secret Diamond Sisters series was much more of a challenge for me! If this novel had a theme song what would it be? “Waking Up in Vegas” by Katy Perry! Is there any chance you will return to Las Vegas and the Diamond Sisters stories? At this point, I’m not sure. There’s definitely potential for a spin-off, and I hinted at it at the end of the series. But right now, I have lots of new, different projects that I’m really excited to share with you soon! My first series, The Transcend Time Saga, had a fantasy twist to it, and I’m going to be returning to stories like that for a while. But there’s definitely another story to be told in the world of Vegas that I created, and there’s always a chance that I’ll write it in the future! Are you working on anything new, can you tell us about it? Yes! I have a new series called Elementals, and the first book, The Prophecy of Shadows, will be releasing on January 26, 2016. The cover and blurb are being revealed on November 8th. All I can say about it right now is that it involves Greek mythology and witchcraft, and that fans of Percy Jackson will love it! You can add it to your to-read list HERE ON GOODREADS.